Winter got pretty rough for a while in several regions around the country, but thankfully the worst is long behind us. It’s still a bit chilly in some areas, but spring weather is already here across much of the country. Of course “spring” barely exists these days, so summer heat will be here before you know it. 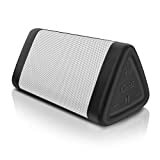 That means pool time is right around the corner and there’s no better poolside companion than the OontZ Angle 3 Enhanced Stereo Edition IPX5 Splashproof Portable Bluetooth Speaker, which is down to just $19.99 in its newest color.